You have finally decided to throw a fun yet intimate celebration for your little dude or dudette. You checked online for inspirations. You saw tons of great parties everywhere. Now, you’re starting to feel overwhelmed and start to consider how far you’re willing to go for your little one. Sounds familiar? What if you have a party in mind but you are just planning to invite the closest of friends and relatives? A party with an adorable theme, complete with the perfect party decors to go with it – in short, a “DIY party”. Great news! With a little creativity and some help from reliable party shop suppliers, you can easily add that touch of pizzaz to your party without spending a fortune! Check out MY LITTLE PARTY SHOP MANILA. They got your party covered from thematic party decorations, partyware, favors and even game kits! My Little Party Shop Manila is an all-in-one online shop where you can buy quality party items at an affordable price. “It all started when I was planning for a school party for my daughter. She wanted Disney’s Sofia the First theme party. Party planners or organizers have this theme with huge styro backdrops and all, but they do not accept decorating small parties – a classroom of 12 toddlers to be exact. I searched local shops, from malls to Divisoria and didn’t find any decors with that theme. There were tableware or decors with matching or coordinating colors for that theme and I was thinking of doing a “styling” instead. But being a little girl, her party is not a Sofia the First party without seeing the cartoon character on a birthday banner. This lead me to purchase the party supplies in the US. The supplies I bought were so easy to set-up. My daughter was so happy, and so were her classmates. A co-parent was having the same dilemma on how she could do a Disney Jake and the Neverland Pirates theme party for her son. This made me realize that I can help parents give their child a themed party even in a small group. Thus, My Little Party Shop Manila was born. 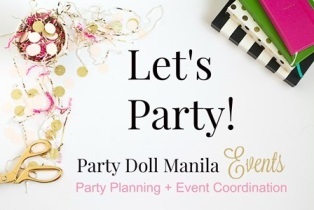 Moms and Dads, look no further because with the help of My Little Party Shop Manila, we can easily throw an awesome party without hurting our wallets! Their products include: • Tableware, invitations, favor and loot bags, decors for birthday, bridal, and baby shower parties. • Game packs for bridal and birthday shower parties • Craft kits for Sunday schools, to keep kids entertained during a party, or to give as prizes/small gifts. • Gourmet food. • Clothing. Sharing here with you are some of My Little Party Shop Manila’s fantastic products. They have quite a selection of products for party there, something i should consider in case i’ll have my son’s party soon. Wow, so many selection of party supplies! all of them looks so colourful and fun! it would be a fantastic celebration using all of this here! Wow! You really have so many choices for kids and parents to choose from for their special occasions. Wow! Great and cute party supplies! I felt the same way too when I planned for my one-year old (then) son two years ago. It was so hard to look for party suppliers and with few options and limited themes, the supplier could not really give me what I wanted and had to pay for extra. Anyway, this is good to know. Will recommend this to my friends. Do they cater outside Manila? Online stores like this one sure helps many people who are averse to hiring professional event planners due to prohibitive cost. A well stocked, comprehensive store is a winner! I would like to give my kids a decent birthday party someday when we visit the Philippines. It is good to know that there’s a party needs shop that is reliable and supplies are affordable too. This is good news for me especially that I always prefer to do “DIY” parties at home. There are a lot of selections on the list and most of them are really really good finds. Will check out My Little Party Shop Manila. Thanks for sharing this post Sis. wow those fun + colorful party supplies sure would come handy for anyone who are planning for their children’s birthday celebration. i will make sure to check it out, especially when the need for these supplies arise! These are so cute – definitely perfect for kids parties. This is helpful for me since I always want to have DIY party theme hiring organizers nowadays can cost a fortune. Hello!my little princess turns 2 on june 04,2014 and i was planning to start collecting some birthday favors , giveaways and decors for the party. I wish i could find a trusted supplier in manila especially in divisoria because i believed divisoria is the cheapest shopping ever. I need to purchase paper flowers (they look like this folding Japanese fans) for my niece’s wedding in Canada. Do you have those made of tissue with scallop edging? I will need these in turquoise, gray and red. If not what do you have similar to this? Please check Crafted Love (email:crafted_ph@yahoo.com) for special crafted paper flowers. If you’re looking for paper pompoms, you can check those with My Little Party Shop (https://www.facebook.com/mylittlepartyshopmanila). How much wd the party supplies cost? Can you send the pricing to me please? Thanks! how much for jake and the neverland party supplies? Hi Ingrid! Kindly direct all your inquiries to My Little party Shop. 🙂 Thanks! Hi Jo-Anne, these are really cute items, I also found some of the items on an online store but they don’t ship to the Philippines. May I know how much is the Candy Shoppe theme, and what are the items included and the quantity as well? Kindly direct your inquiries to My Little Party Shop 🙂 Thank you! Hi. I,would like to k,ow if you have sofia the first oaety pinata.